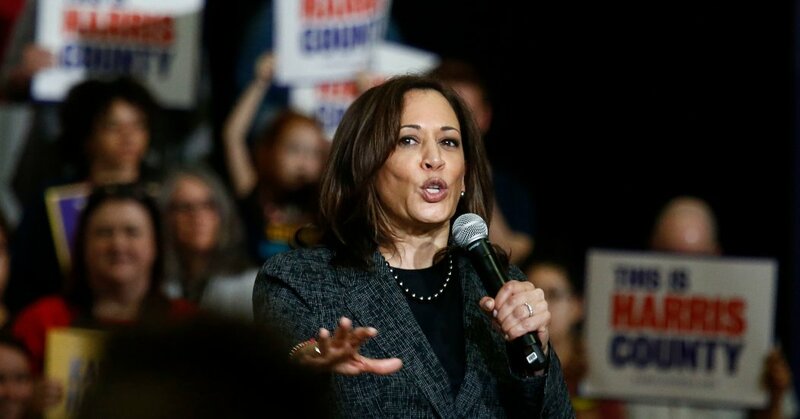 Senator Kamala Harris of California announced a plan Tuesday to heavily invest federal money into teacher pay, the first policy rollout of her campaign for the Democratic nomination for president. Ms. Harris’s proposal, which was billed as the “largest federal investment in teacher pay in U.S. history,” marks the next step for a campaign that began in February before a crowd of 20,000 supporters. In a statement detailing the proposed increase in teacher pay, Ms. Harris said that, under her administration, the Department of Education would create incentivized baselines for teacher salaries that local school districts would have to meet in order to receive certain federal funds. The average teacher in America would receive a $13,500 pay increase, the campaign said. The plan, which would cost more than $300 billion over 10 years, would be paid for by “strengthening the estate tax,” the Harris campaign said. The Republican-led tax reform that passed under President Trump adjusted the threshold by which the government can collect taxes from the estates of the wealthiest Americans; Ms. Harris’s proposal would reverse that change, her campaign said, in addition to closing loopholes. Senator Bernie Sanders, the Vermont progressive who is also running for president, released a plan to raise the estate tax earlier this year that would generate more than $2 trillion, according to estimates released at the time. Teacher strikes have roiled the nation over the past year, in states governed by Republicans such as Oklahoma and Arizona and in liberal bastions like California. Though the issue has cut across culture and demographics, Ms. Harris made a particular point to highlight how low teacher wages are particularly harmful for students who are racial minorities, whose school districts then have a harder time attracting qualified educators.